Michigan is located in the upper midwest section of the United States, and is affected by frost and cold weather in the winter, spring and fall months. Michigan falls under USDA hardiness Zone 5. Most vegetables in Michigan are planted outdoors in the early spring months of April or May. Your vegetable garden area should begin with a sunny location and well-drained, fertile soil. Sweet corn is a popular vegetable that many gardeners seek for their Michigan garden. There are three main type--normal sugary, super sweet and sugary enhancer. Sweet corn is grown by seed in a sunny location. The seeds should be planted 2 to 4 inches apart in rows. Early to mid-April is the general rule of thumb for planting sweet corn as most varieties are very hardy and weather resistant. The golden rule for a successful corn crop is that they should be knee high by the 4th of July. Crops that are smaller may not be able to be harvested in early fall, or may not grow full ears of corn. 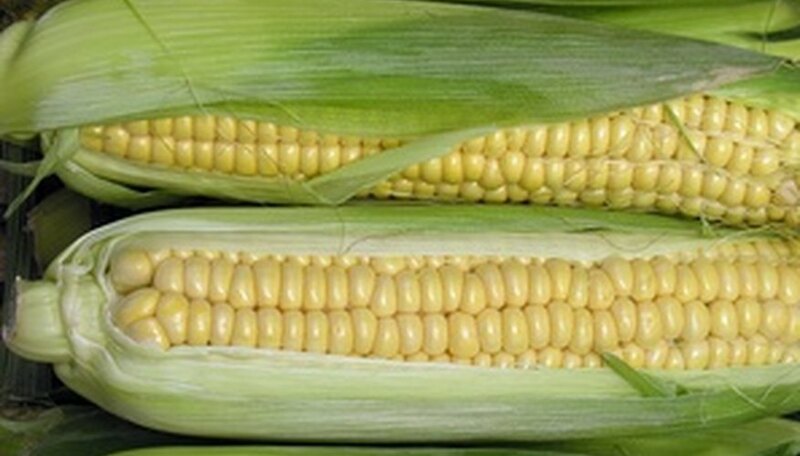 Most sweet corn varieties take between 58 and 92 days before they are ready for harvest. Each individual plant or stalk can grow anywhere on average from 6 to 12 feet in height and produce one to two ears of corn that are 7 to 9 inches in length. Sweet corn comes in several popular varieties such as Bi-Queen, Pearl White, Earlivee and Jubilee. Many Michigan farmers grow and harvest carrots throughout the state. Carrots are best grown in well-drained soils, in particular, muck. Muck is a type of soil composed of humus that is found in drained swampland or lakes. Muck and mineral soils can be found in abundance in the thumb area of Michigan. Carrots prefer cool soil and do not do well in high heat conditions. Most are planted in early spring such as mid-April and harvested around 120 days later. Carrots need care when harvesting because of their delicate leaves. Rich in beta-carotene and delicious on salads or in vegetable medley--carrots are easy to grow. Lettuce is a commonly grown vegetable in Michigan gardens and fields. Lettuce requires a well-drained soil that is rich, slightly sandy, and free of debris. Lettuce is generally started indoors in late February and then transplanted in early spring when the danger of frost has passed. Plants should be spaced about 6 inches apart and generally only produce one head per plant. Some gardeners prefer to sow and plant lettuce plants a week or two apart so they have a fresh harvest throughout the season. While there are many varieties of lettuce, some of the most popular include iceberg and romaine.